From your child’s perspective, a guardian will play many different roles. They will be a familiar voice at the end of a phone, and a familiar face at weekends and in holidays. They will be someone who can listen, help and support at all times of the day or night. Your child’s guardian will quickly seem like any other family friend: someone who would do anything to help when their parents were away. Your child will know their guardian to be that person who can help fix those little problems which sometimes arise out of misunderstandings, or from cultural differences between home and the UK. Your child will also feel comfortable going to them with their questions and concerns about school, play, work, home, relationships and everything else that goes through a child’s mind when they are far from home. Some parents’ first instinct may be to appoint their friends, acquaintances and relatives as guardians in the UK. Whilst it is certain they will care deeply about your child, they may not always have sufficient knowledge of the British educational system, know how schools work and how best to communicate with them. At UK Study Centre we strongly believe that it is essential for the safety and well-being of your child that all students whose families live overseas have an officially appointed guardian resident in the UK with both the compassion to care for children’s well-being, and the knowledge to handle education-related matters. We are accredited by the Association for the Education and Guardianship of International Students (AEGIS), an organisation which ensures and promotes the welfare of students aged 18 years old and under studying in the UK. From our own experience of living in the UK, we appreciate that moving to a foreign country and changing schools can be a challenging and a potentially difficult experience for children. We have over ten years of experience in helping children settle into their new life in the UK. We are flexible and accommodating, always on hand to answer any questions and manage any issues that may arise and ensure that problems are resolved as quickly as possible. From a UK visa perspective, it is important that suitable care is provided for children under the age of 18 at all times when they are in the UK, and not just when they are in the care of their school. It is important for us at UK Study Centre that we go above and beyond the official requirements. We know that a guardian will help your child settle into their school routine and give you peace of mind that your child is safe and being well cared for. We know through experience that even the best behaved children occasionally get into situations where prompt involvement of a responsible adult is required. Missed plane connections, lost passports, conflict at school and urgently required travel visas – these are just some of the situations we come across in our daily work. 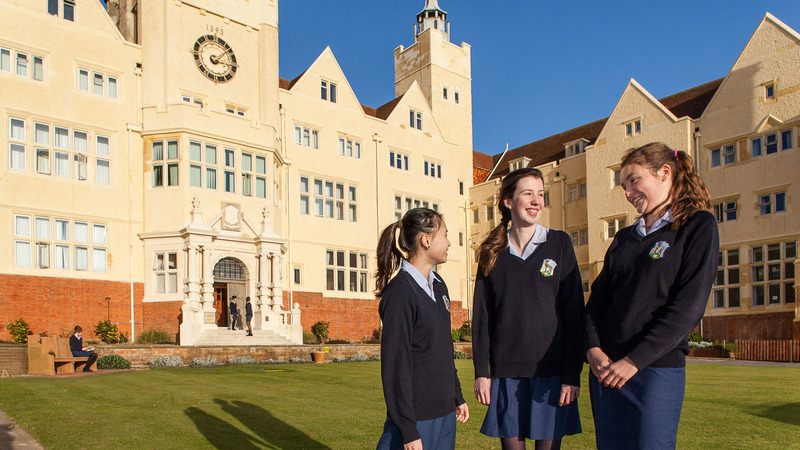 This is our highest level of guardianship and covers all aspects of your child’s life in a boarding school. This package is tailored to your specific needs and requirements as a family, and is ideal for parents who wish for a level of care which provides them and their children with total peace of mind. The Premium Guardianship service is very effective in the case of children who are at the very start of their study journey in the UK, or have come to expect a lot of caring support and encouragement in their lives. Click for full details on our Premium Guardianship Service. This package offers a comprehensive level of support which covers all the major areas of a student’s life in a boarding school. This is the most complete standard package available. It incorporates all of the Basic Guardianship package and in addition provides much more substantial levels of support around academic progress. This includes UK Study Centre consultants stepping in to attend parents’ meetings and providing half-termly or termly progress reporting. Click for full details on our Standard Guardianship package. This package is suitable for students and families who feel confident to deal independently with most of the everyday matters concerning school life. In addition to the Emergency Guardianship package the service provides pastoral care, careful monitoring of academic progress in conjunction with parents and deals with administrative and well-being matters on ad-hoc basis. UK Study Centre will also provide help with homestay accommodation and transport requirements as a part of this package. Click for full details on our Basic Guardianship package. This package is suitable for families where the student and their parents prefer to deal with all pastoral and academic matters themselves but would like to have prompt and full support should an emergency occur. Emergency care means that there is access to the UK Study Centre Guardian team 24 hours a day, seven days a week, to provide instant assistance for situations such as accidents and serious illnesses, missed flights and urgent problems at school. Click for full details on our Emergency Guardianship Package.